FW markers are the lastest marker innovation by Daler Rowney. These groundbreaking markers put you firmly in charge! 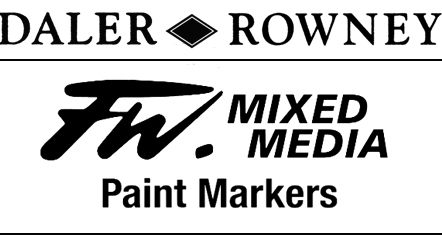 Daler Rowney FW Mixed Media Paint Markers break all the boundaries of a regular marker; no more will you be restricted by the limits of a manufacturers palette. With these markers you are able to mix custom colours to colour match your artwork. You can have an unlimited spectrum of colour at your fingertips! The amazing thing about FW Markers is that by using them you have all of the benefits of traditional liquid-media but with none of the mess and unpredictability! The markers are great if you're looking to apply your favourite inks and paints with precision. As they're available in 8 different nib sizes, the FW markers allow you to apply an almost infinite variety of strokes and marks. With the smallest nib, the 0.8mm technical, you can create lovely crisp, fine lines; excellent for creating outlines and adding details and flourishes. The largest nib, the 8-15mm Large Flat, can be used to create bold sweeps of colour, which are brilliant if you want to create more expressive marks in your artwork. With an array of other tips including rounds, chisels and a hard point, there really will be no limit to your creativity. We have more information about the different nibs and sizes to help you select which of the markers will best suit you. 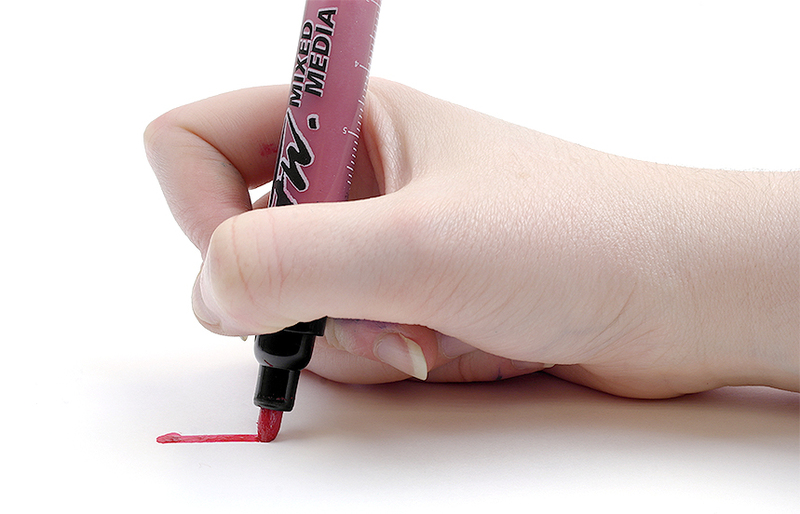 FW Markers can be used with a wide range of liquid media, and are easily filled and cleaned. We have detailed instructions on how to fill and clean your marker to make sure you get the best performance possible! Whilst they are ideal for use with FW Acrylic Inks, they are also suitable for use with a number of other products. Both Liquitex and Drawing Inks can be used. If you want you can even dilute your favourite watercolours and fill the barrel with those! Beautifully vibrant strokes of colour can also be created using diluted Brusho. With the FW Markers the colour does not necessarily have to come from the barrel. A great alternative is to fill the barrel with water and use it as you would a regular waterbrush by lifting colour from a water-soluble strip such as an inktense block or a watercolour pencil! As they can be filled with a whole range of different mediums, there really is no limit to the amount of colours and effects you can create!